UNEP FI’s Butch Bacani was in San Francisco for the first meeting of the Sustainable Insurance Forum, a new international network of insurance regulators and supervisors which will promote cooperation on critical sustainable insurance challenges such as climate change. In his blog, Butch tells the story of the creation of this new initiative, explains its significance for the insurance sector, and the role of UN Environment and the Principles for Sustainable Insurance in its founding. On 26 June 1945, the UN Charter, the United Nation’s foundational treaty, was signed in San Francisco, “The City by the Bay”. San Francisco was also the location for the launch of the Sustainable Insurance Forum for Supervisors (SIF), a groundbreaking initiative to strengthen insurance regulators’ understanding of, and responses to sustainability challenges and opportunities for the insurance business. At the beginning of December, 2016, UN Environment convened insurance regulators and supervisors from around the world at an event co-hosted with the California Department of Insurance. The SIF is a joint initiative of the Principles for Sustainable Insurance (PSI), the global framework created by UNEP Finance Initiative, and UN Environment’s Inquiry into the Design of a Sustainable Financial System (Inquiry). 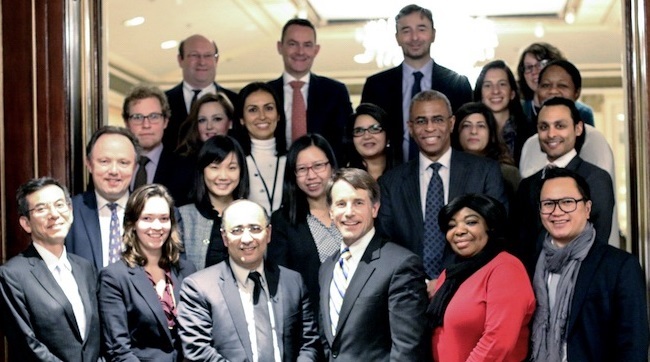 The inaugural meeting of the SIF was held in San Francisco at the beginning of December, and was attended by insurance regulators from Brazil, California, France, Ghana, Jamaica, Morocco, the Netherlands, Singapore, and the UK, and supported by Chile, Pakistan, South Africa, the Philippines, the United Arab Emirates, and Washington State. The two-day event included sessions on sustainable insurance challenges, practices and opportunities with respect to insurance underwriting and investments, as well as responses and emerging approaches by insurance regulators to sustainability issues. The sessions benefitted from the expert insight of insurance market participants including Aon, Bahamas First General Insurance, the Insurance Association of the Caribbean, and Swiss Re; and other experts from the 2 Degrees Investing Initiative, Ceres, DLA Piper, Mercer, and Standard & Poor’s. The San Francisco meeting approved the SIF’s 2017 work programme, which will focus on disclosure, access to insurance, sustainable insurance roadmaps, climate risk, disaster risk reduction, and capacity building for insurance regulators. The meeting also firmed up the SIF’s governance. UN Environment, through the PSI and the Inquiry, will serve as the Secretariat of the SIF. The PSI was developed through a UN-convened global consultation process in 2011, led by insurance companies and involving key stakeholders such as insurance regulators, business and industry, governments, civil society organisations, and academia. The PSI was launched at the UN Conference on Sustainable Development (Rio+20) in Rio de Janeiro in June 2012, at a global event co-hosted by the International Insurance Society and the Brazilian Insurance Confederation (CNseg). It was endorsed by UN Secretary-General Ban Ki-moon and insurance CEOs. To demonstrate their leadership and support for the sustainable insurance agenda, a number of insurance regulators themselves have signed the PSI. They include the regulators of Brazil, Costa Rica, the Philippines, and California and Washington State in the US. The Sustainable Insurance Forum is a culmination of the joint work of the PSI and the Inquiry over the past few years. This began with the first-ever international consultation on insurance policy, regulation and supervision and sustainable development from 2014-15. This consultation concluded with the Insurance 2030 Roundtable, which UN Environment and Swiss Re co-hosted in May 2015 in Rüschlikon, Switzerland and attended by then UN Environment Executive Director, Achim Steiner, and then UN Framework Convention on Climate Change (UNFCCC) Executive Secretary, Christiana Figueres, as well as insurance industry leaders and regulators from around the globe. This led to UN Environment’s global report, Insurance 2030: Harnessing insurance for sustainable development, which was launched at the UN headquarters in New York in June 2015, at the Global Insurance Forum of the International Insurance Society. UN Secretary-General Ban Ki-moon delivered the opening address. One of the key recommendations of the Insurance 2030 report was to create the SIF. At the 7th International Insurance Conference, held in Paris in November 2015, UN Environment’s Executive Director spoke at the event to promote the initiative to create the SIF, as well as the PSI’s agenda-setting idea of developing “Insurance Development Goals” to help realise the UN’s 2030 Sustainable Development Goals. In 2016, the process of creating the SIF was guided by a core leadership group of insurance regulators—Brazil, France, Netherlands, Philippines, South Africa, the UK, and California and Washington State in the US. This was reinforced by input from an international consultation on the proposed SIF involving regulators from more than 30 countries, in cooperation with the IAIS. The results of the consultation were presented at the IAIS meetings in Budapest last June. The Golden Gate is the strait that connects San Francisco Bay to the Pacific Ocean, and is spanned by the world-renowned Golden Gate Bridge. Through the PSI, UN Environment has a global, market-facing sustainability initiative for insurance companies. With the launch of the SIF, UN Environment now also has a global, policy/regulatory/supervisory-facing sustainability initiative for insurance regulators, which both spans and connects. The collective agenda of the PSI and the SIF bridges landmark efforts by insurance companies and insurance regulators that support economic, social and environmental sustainability—in other words, sustainable development. Watch this dynamic space evolve in 2017, and beyond. For more information about the Sustainable Insurance Forum, read the article here. Find out more about UNEP FI’s Principles for Sustainable Insurance here.